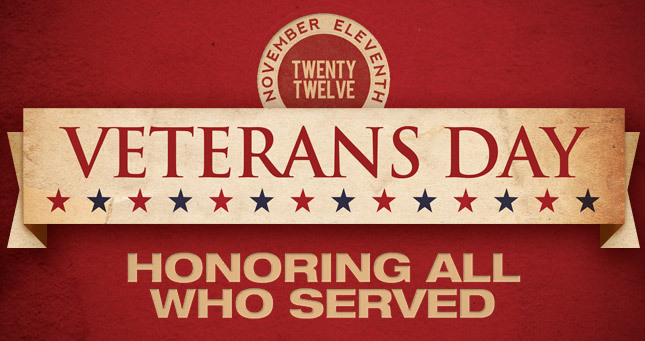 Sunday November 11, 2012 is Veterans Day. A grateful nation remembers their service. A grateful congregation keeps our veterans in prayer and gives them our blessings. Join us during our 8:00am and 10:30am Sunday services as we pray for these men and women.